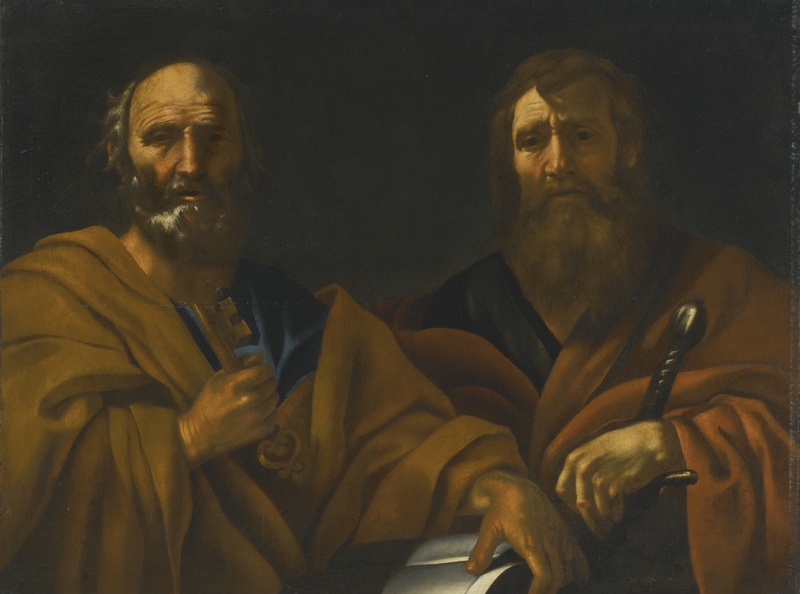 Just a reminder that, for ss Peter and Paul we will have a Low Mass at 7:30pm at Christ the King. 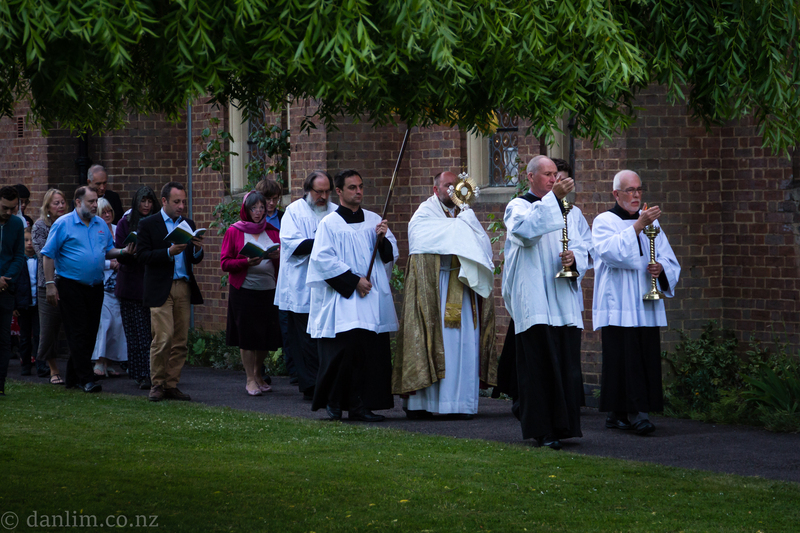 It was a pleasure to welcome back Fr Anton Webb as our celebrant for Corpus Christi on the evening of 15 June. By co-incidence, he was the celebrant at the Corpus Christ Mass in 2016. He has a wonderful singing voice which supplemented this Sung Mass. In the choir loft was Bedford Choral Society, the singers of whom were joining us for the second time, and also Fr Gabriel Diaz, who himself has celebrated Mass many times at Christ the King, but on this occasion was singing the Propers and the beautiful Corpus Christi Sequence. Bedford Choral Society sang Palestrina’s Missa Brevis and it was a joy to hear this setting in the context for which it was originally written. 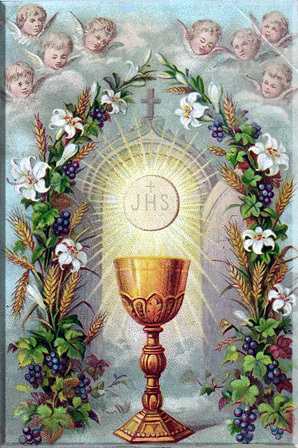 Fr Webb gave a most inspiring homily linking the Feast of Corpus Christi with the Feast of the Nativity, pointing out that the Preface is the same for each, reflecting that at Christmas Our Lord Jesus Christ became present in the flesh, and in the Eucharist becomes substantially present at the moment of Transubstantiation. 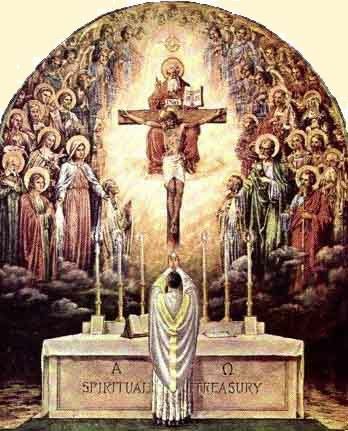 His Divinity was hidden at his Incarnation and in the Eucharist his Humanity is hidden as well. 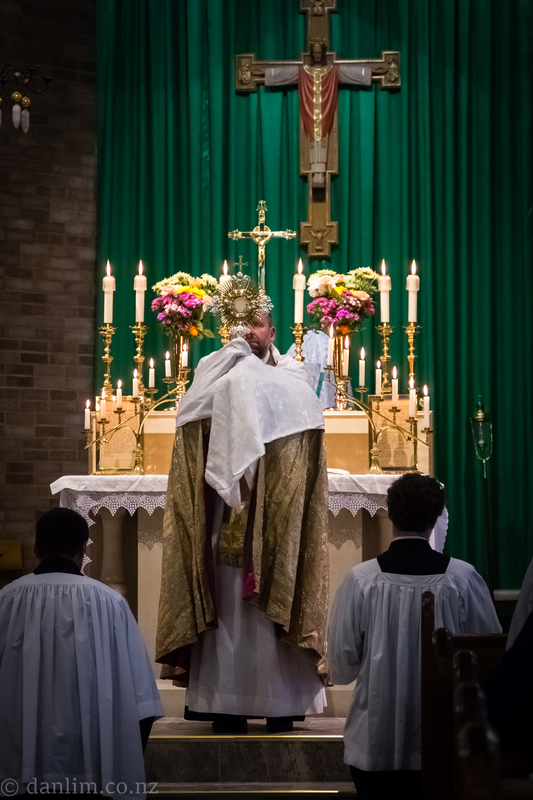 For me this notion of ‘hidden-ness’ makes the whole mystery of the Latin Mass much more meaningful. 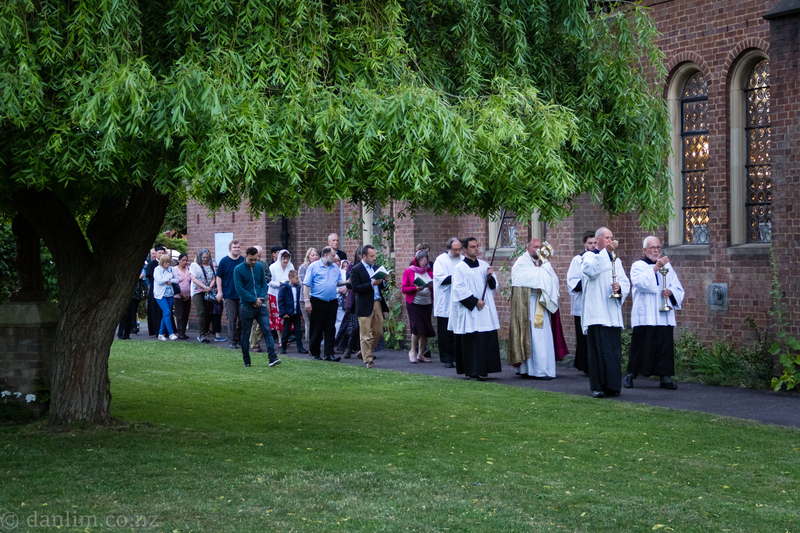 Following the Mass there was a short procession in the grounds of the church on the background of a glorious pink sunset. We returned into the church for Exposition. 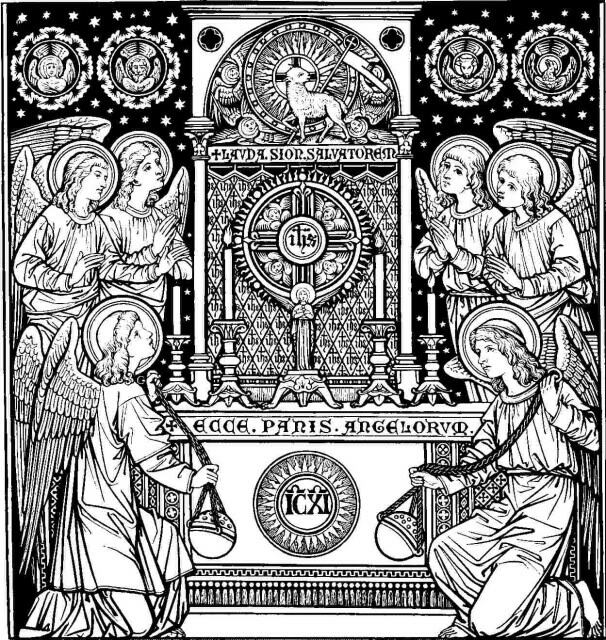 The altar bearing its two seven-branched candlesticks and the gold and silver monstrance never fails to fill me with awe and wonder and I went home rejoicing. 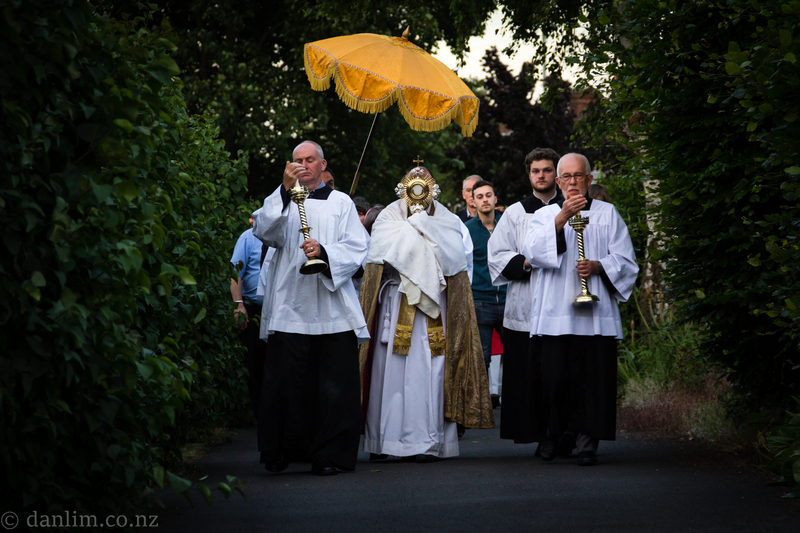 We were very lucky to have a wonderful photographer at Mass – while on a trip / pilgrimage from New Zealand (his “home” parish is in Christchurch), and below are his photos of the procession. Thank you, Daniel! 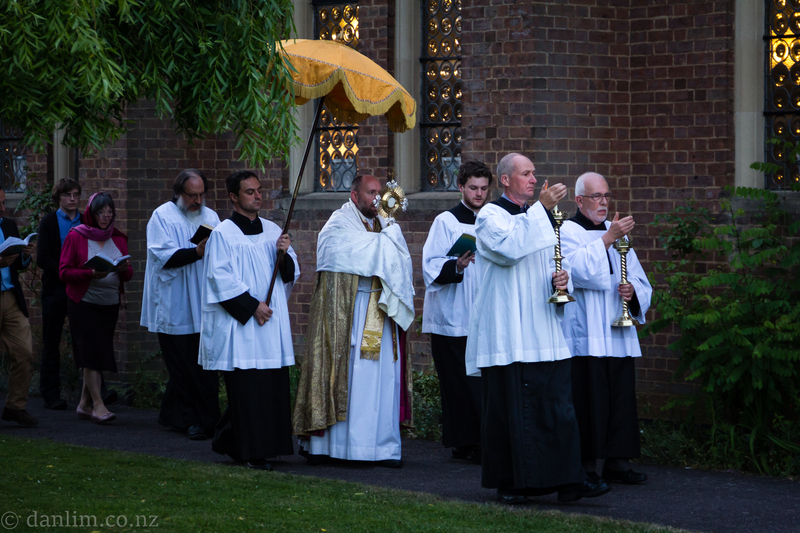 Corpus Christi – 15 June – Sung Mass! 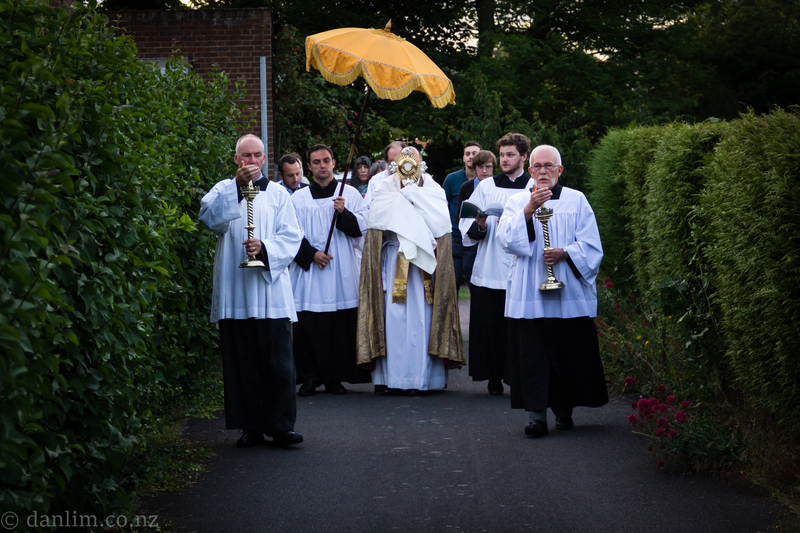 Mass is at 7:30pm, followed by a procession afterwards.